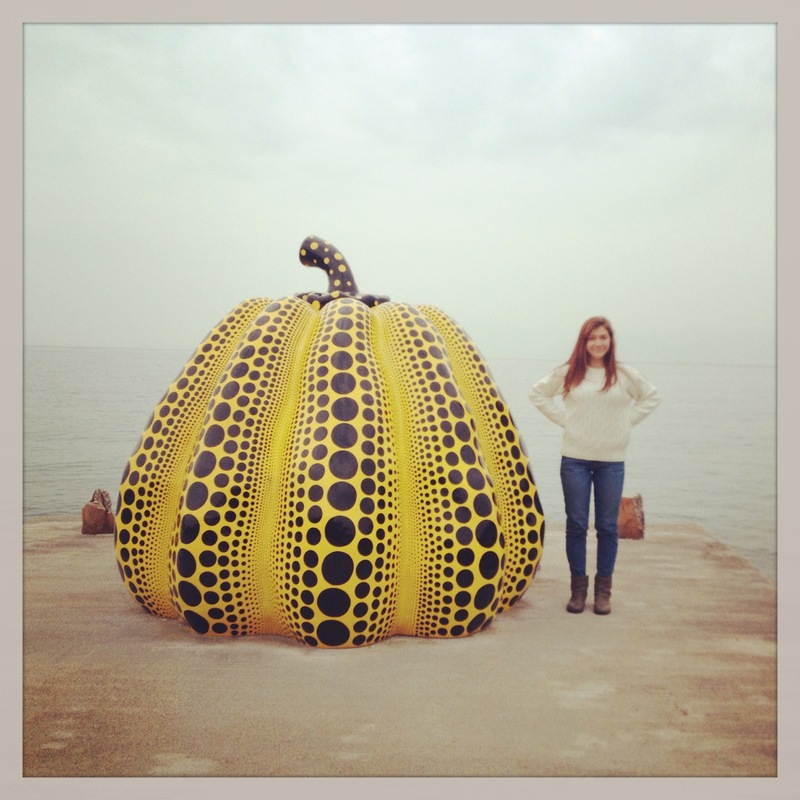 The shinkansen, a bus, a ferry, and bikes are how we got to Naoshima, the island of art. It was cloudy and lightly raining the entire weekend, but considering how many hills we trudged up, the cool weather was nice. The minuscule island is easily accesible by bike, and even though the map makes the land look as big as Hiroshima, we were able to bike everywhere in just a few minutes. As we biked through the gorgeous trees and along the seaside, we passed art museums and bits of artistic creativity everywhere. Some of my favorite artworks were the ones we found along the way. The rustic red box on the brown wall. The turquoise bike against the aging bricks. The perfectly sculpted trees and flower gardens. 1. Go’o Shrine. Leaving the bike behind in an alleyway and hiking up a set of stone stairs sounds like an adventure on its own, but once I reached the top I was impressed. I always find shrines beautiful and fascinating, and as we reached the top of the hill it appeared to be just another intricate shrine. However, walking to the front I realized it was much more. A set of glass stairs rised up from the ground and into the shrine. The way the glass reflected the gray sky made the stairs to appear icy and mystical. After staring in awe for a few moments at the shrine, we walked along the trees and came across a thin tunnel, leading us underneath the shrine. The stairs not only rised up to the shrine, they grew into the ground and reflected in a pool of water with only a sliver of cloudy light sliding into the foggy tunnel. I pulled off my boots and pulled on a pair of white slippers before I stepped on the tiny, cloudy-white tiles on the floor. Following a darkened and warm hallway, I felt as if I was walking through a cloud, and suddenly I had reached a bit of sun. Natural light lit the white room, but I was not blinded by this lack of color. It was misty and light. The walls were curved, so there were no sharp edges in the room besides the edges of the massive Monet paintings. I had seen prints of Monet’s water lillies before, but I had no clue they were so large and magnificent. From a few steps back I saw the scene, but closer up I saw the detail: the texture, the long strokes, the layers of color. It was absolutely gorgeous. 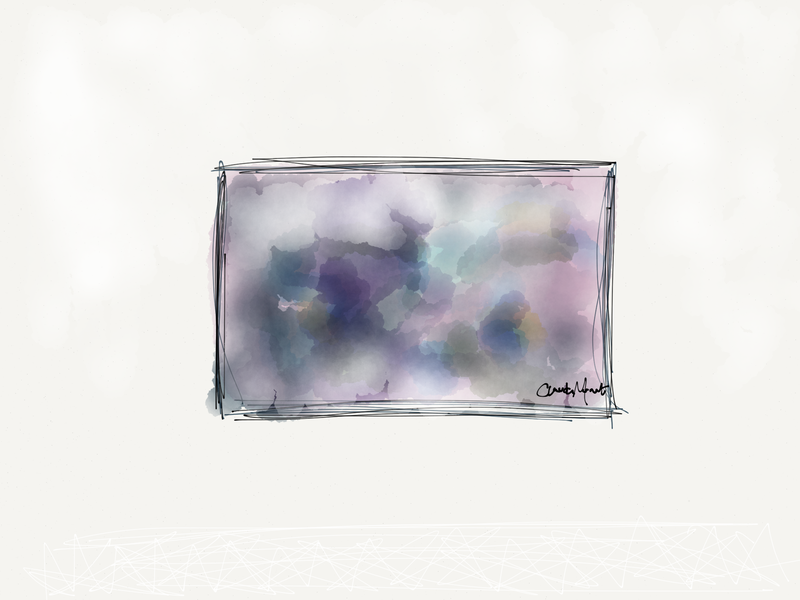 The paintings, and the way they looked so profound in white, cloudy room. Tags: art, g10, japan, learning, naoshima, tgsjapan, wexplore. Bookmark the permalink. Thanks for the correction! 🙂 And unfortunately I did not have time to visit the other islands But Naoshima is gorgeous, so I am glad I took the chance to explore it!